also plan it between 4 and 8 days. 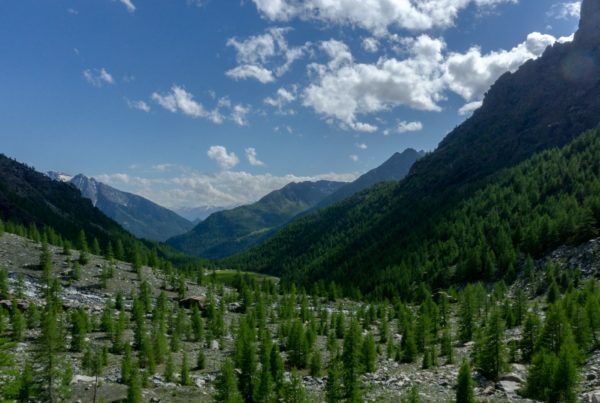 It is a trail starting from Gressoney Valley ending up in Valtournenche, near the Matterhorn Peak. It is the only Self-guide that we propose less than 5 days. 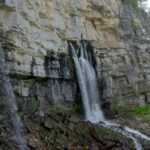 If you want more days it might also be possible, contact us in private, or check the Tour of Mont Blanc Self Guided Hike. 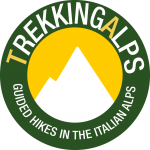 As every Self Guided Treks, everything is handled by the Trekking Alps Tour Operator, Verticalife. 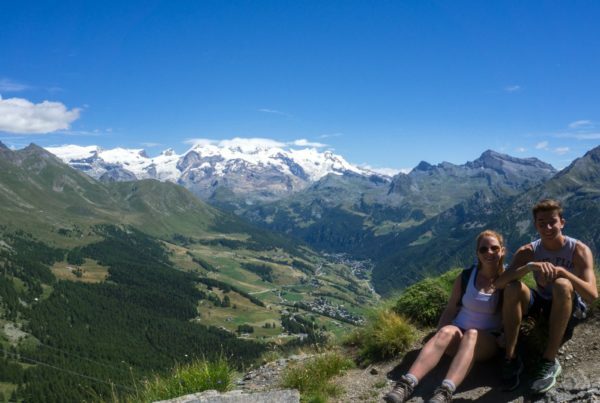 We will provide you with all the maps, GPS waypoints, a detailed description of every day hike and the bookings for your Self-guided Tour of Monte Rosa and Matterhorn. The stages of the Trek are fixed but there is some cable car you can take in case you will be tired. 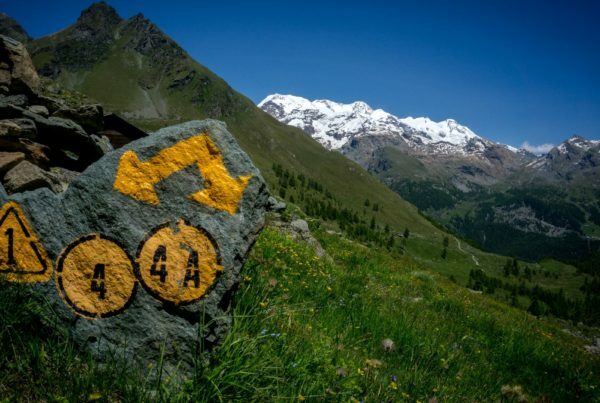 Moreover, this Self Guided Tour of Monte Rosa and Matterhorn allows the luggage transportation. 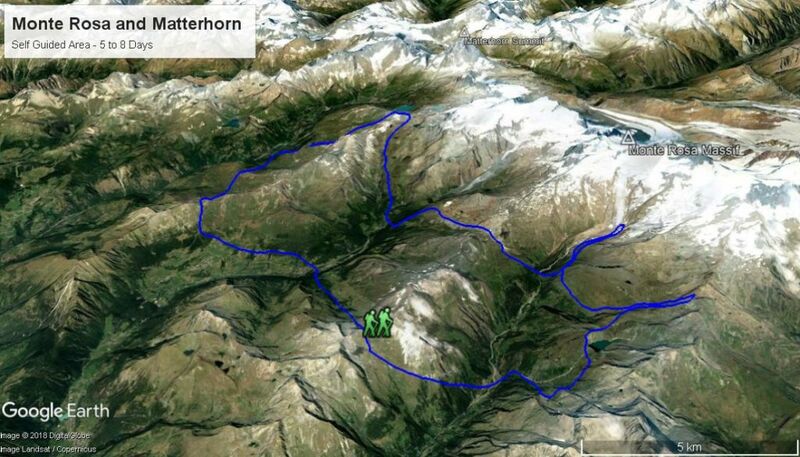 The hike itself is pretty easy even though the paths compared with Mont Blanc are steeper. 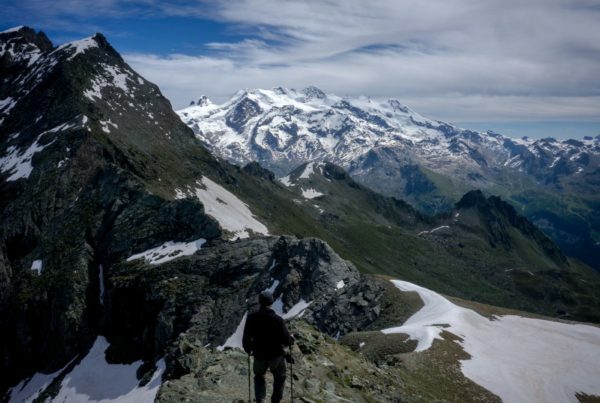 The views over Monte Rosa glaciers and Matterhorn are amazing and the fact of moving every day in the same direction crossing one valley after another is a very nice perspective. The accommodations do not provide in all case private rooms but you can ask us in case we will try to get where possible. 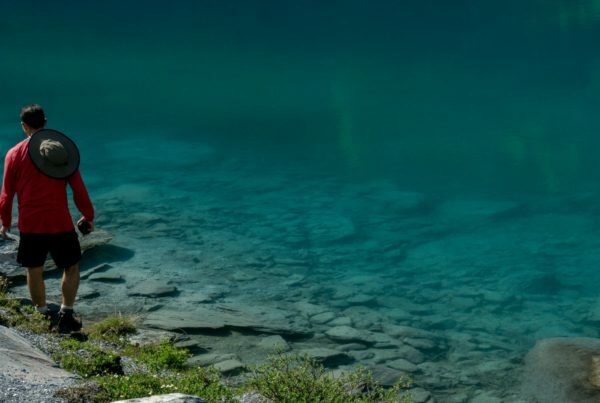 The only Self Guided that can provide always Private Rooms are Self Guided Tour of Mont Blanc and Aosta Valley Self Guided Tour. 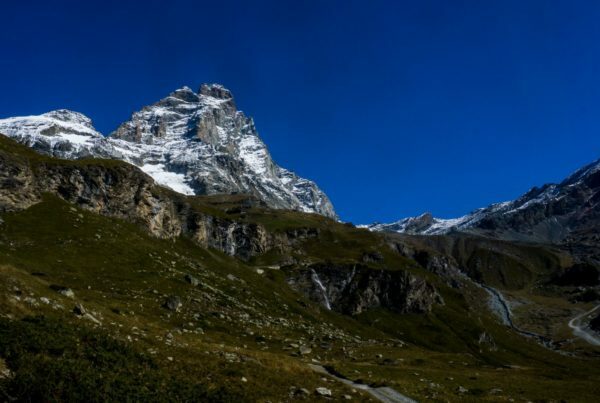 If you are keen on Climbing a 4000 meters peak even as a not super experienced climber, to reach the Monte Rosa and particularly the Capanna Margherita can be very well organized together with your Self Guided Tour of Monte Rosa and Matterhorn. 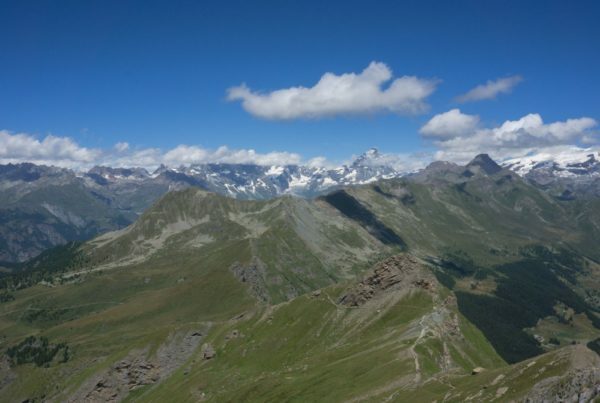 If you want more information about the climb of Monte Rosa check the Summit Package. In order to have a preview of costs contact us and we will provide you with all the information depending on the number of persons involved.